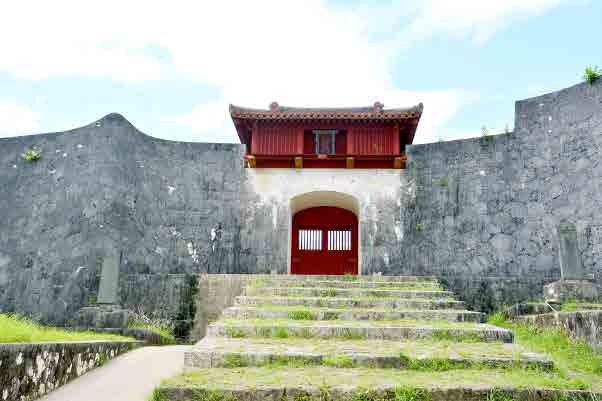 You can experience proof of Flourish of Ryukyu Kingdom. 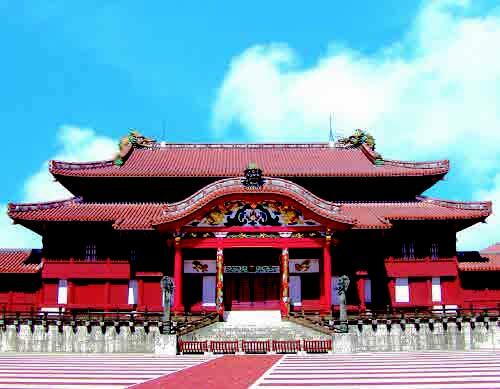 Technics of Ryukyuan architecture with variety tones. 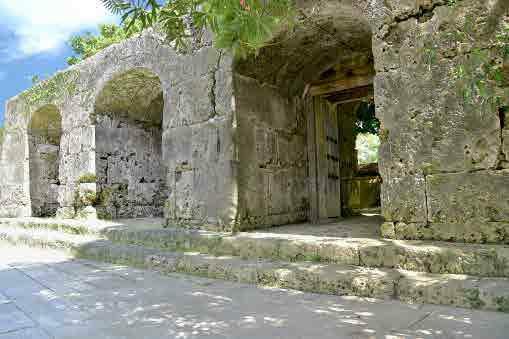 Local veteran guides lead you to all spots, first visitor or revisitor can enjoy. ２ Hour Course for Three World Heritages. 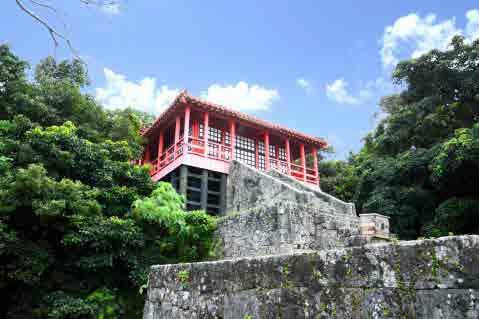 100 Meter under Shurijou Castle, there is a Grave Yard for Third King SHOSHIN of SHO Royal Family, it is TAMAUDUN. This grave Yard was constructed at 1501 year. 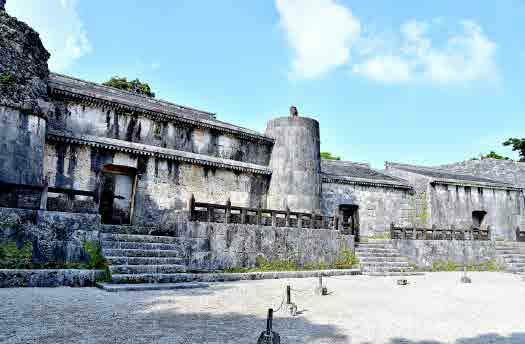 From World Heritage TAMA-UDUN(King’s Grave) , Holly Giant Trees and Tatami-Stones Road in Kinjou-chou village,take break time and receive great powers from Holly Giant Trees. View from Kinjou-chou road to Naha city. Listen sounds of foots of Samurai’s marching or steps of Royal families forwarding to Shikina-En Royal Garden House. 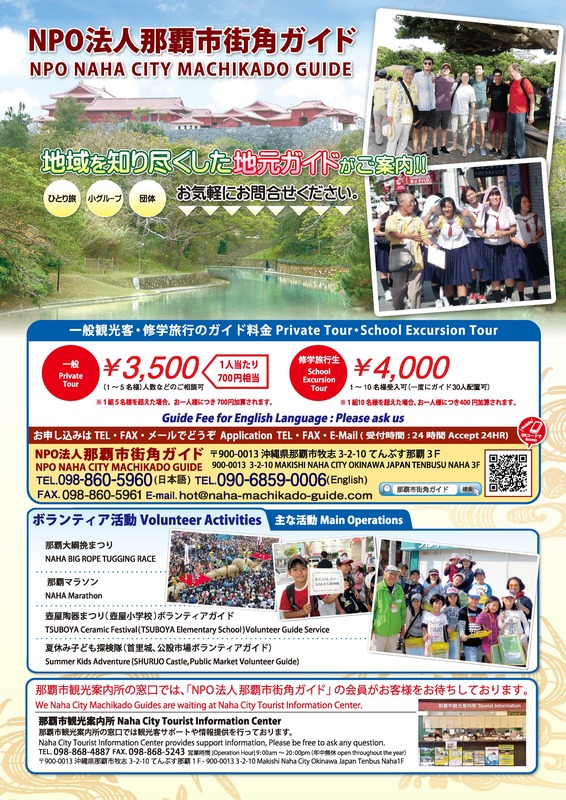 Around Shurijou Castle,Visit Touno-kura village,Onaka-chou village, Akahira-chou village,Toubaru-chou village.There are Kenzenji temple, Tennouji temple, Rengein temple, connected with Ryukyuan’s Royal King. 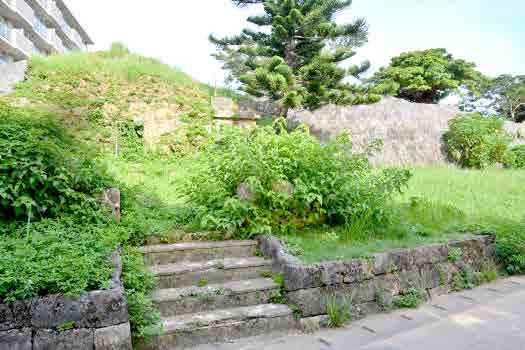 All facilities and houses for royal families and governor’s people’s houses were build around this areas. This course tour is called, JYUNISHI MAWARI, it is to pray twelve gods of RINZAISHU sect in Buddism.This temple routine was popular and the priests used to be as a diploma and educators. It is called "SANKA" where Ryukyu Kingdom authorized to make AWAMORI(Ryukyuan Whisky) to the three villages,AKATA, TORIHORI,SAKIYAMA.Visit ruin sites around SHURIJOU Castle. Feel stream of leisurely old time-Hiking Course.The spots remaining histories around castle. 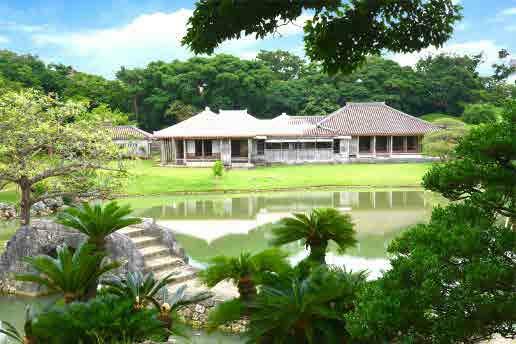 World Heritage SHIKINA-EN is biggest summer house for SHO-Royal Family, for family’s vacations, could use for guests from foreign countries and Japan.The style of this facility is to walk around pound with enjoying changes of seasonal trees, flowers, birds. Chineese styled arch bridge is placed,also own Ryukyan’s architects are constructed. Walk or look the facilities modes. Sueyoshi-park is inside town as an oasis, grow thick of green plants and flowers,murmuring little stream,birds flying. In the park, high valued cultural tombs are placed, spot for giant butterfly Ideal Tree Nymph Butterfly(Leuconoe) in natural park. In summer time, fire fly glowflies are living in this park. Royal Government combined one pottery TSUBOYA from these potteries, CHIBANA site,TAKARAGUCHI site,WAKUTA site. TSUBOYA area is inside a city, but it still has the old classical mode and secne of past times. This area is good for visiting pottery site or do trying handmaking your own ceramics. After war, TSUBOYA and MAKISHI are as were delveloped earlier than other area. Along GARBUGARiriver, a public market was placed and the area became big commercial spot and formed as a main active town. On HEIWA-DORI street, ther are many souvinor shops for travelers, aslo other types of shops are opened. 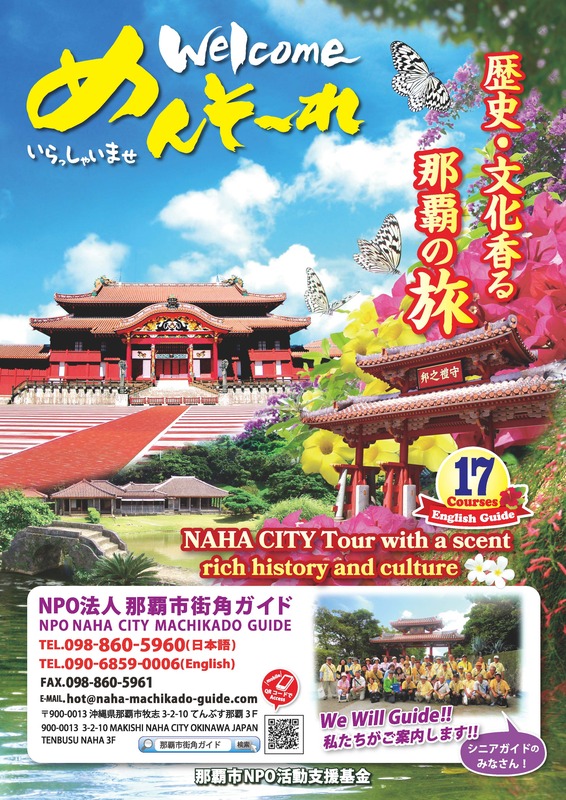 1km from SOUGENJI to IBEGAMA, ocean road CHOUKOUTEI was made.This course route are historical points and to learn how Naha City recovered to be big city. 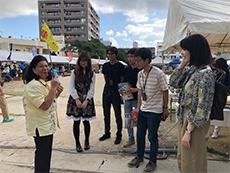 Center of politic, economy, culture on Okinawa prefecture. Largest pulation Naha City, Naha AirPort, Naha habor connected surrounding other islands, this station is center of all fields, many mainly important facilities are concentrated in this area. 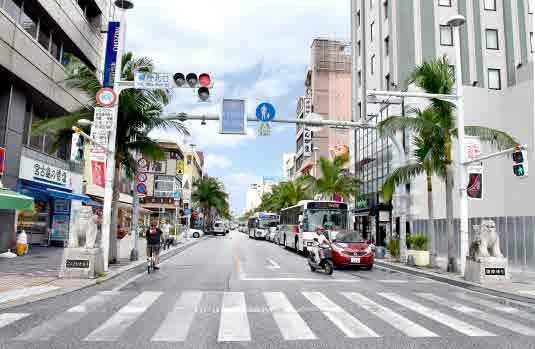 KOKUSAI-DORI Street is called , [ Miracle 1 Mile ] as a symbol of recovery of Naha City. Before war,this area was queit field where has only one small road. After war, it has changed to big populations and became center of housing and shops, stores. Present, here are many bus, taxi, traffic vihicles on small road, many hotels and souvenir shops for sight seeing people. 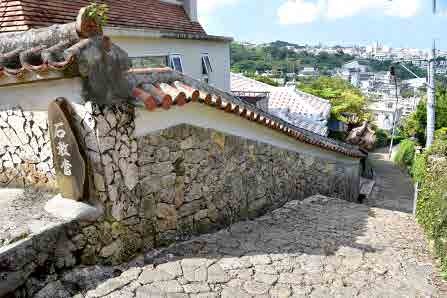 Before second world war, Makishi village was a quiet area, after war it changed to activity famous street. Once step inside from the street, you can see still old quiet housings. 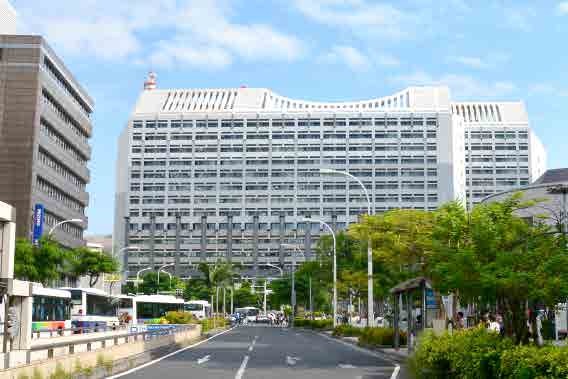 Saion-Square facility for development of Asato and Makishi zone has hotel, shops, public hall, library. It is big convenience building. 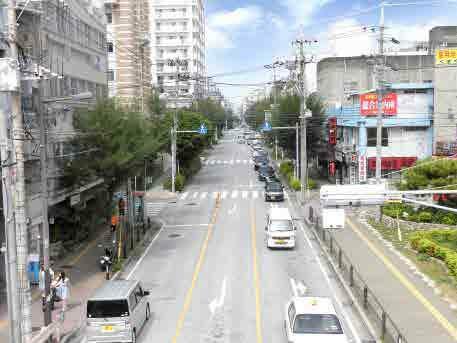 Asato area with Saion-Square where called “Miracle 1 Mile” is model of city development. 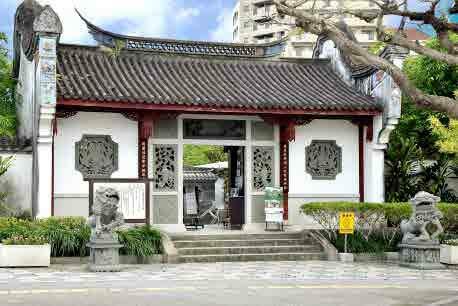 Near Saion-Square facility, there are histrorical and cultural reuin spots. 19 century, Fleet Navy ships of England, America, France visited Ryukyu, dropped an anchor offshore Tomari Harbor. 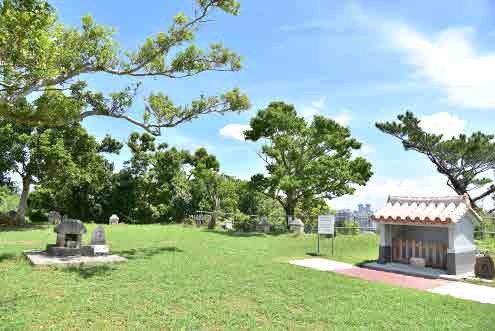 Near Tomari Harbor there are SEIGENJI-Temple,Foreigner’s Grave Yard and Memorial monument of Commodore PERRY Ianded to Ryukyu. 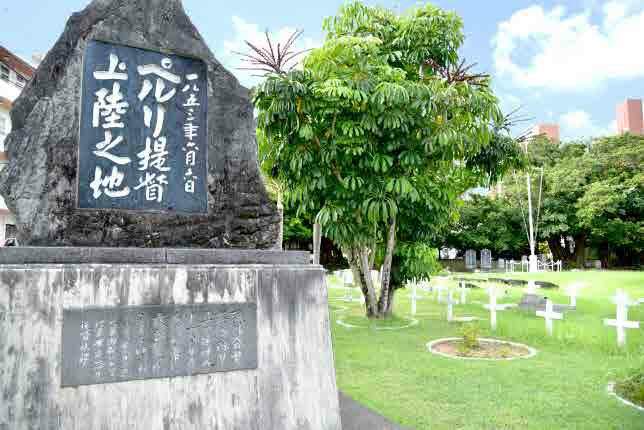 These facts mean that Ryukyu has used to exchange with these foreign countries. Tomari Harbor is a main harbor for marine traffic with surrounding islands and with northern Okinawa. 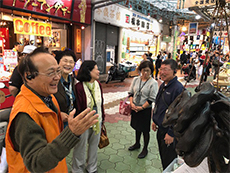 After 14 ～ 15 centuries, When peak time of great external trading age Naha Harbor used to be active place, connecting to Korean peninsular, Japan, East South Asia. 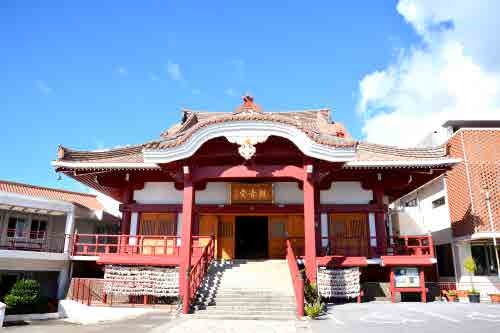 Ryukyu Connected strongly with China, guest house for Chineese Envoy to Ryukyu, Tenshi-kan(Angel’s house), Tenpi-Gu (Tempi temple)are around this area. Daimon Street and Ishimon street weremain places. City hall, post office, market, department store were over there. 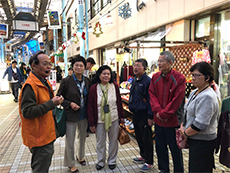 Thirty six families came to Ryukyu from China, these people are experts for business and trading, also had higher-skill of making products, talented political. when Ryukyu Kingdom government trade with oversea countries, needed their helps much. These thirty six families made Kume village, used to be a center of politic, economy, culture which concerning by China. 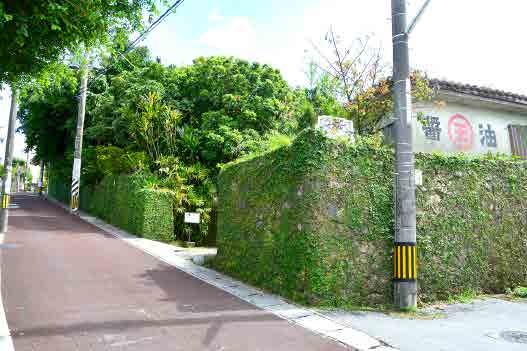 This course is to walk Wakasa, Naminoue area. 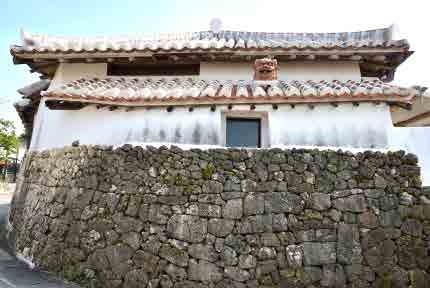 UTAKI(Holly Pray Site), DUN(Holly House), NORO-DUNCHI(Higher Holly House), TATAMI-STONE ROAD not damaged from fire attack of war,remained as past scene.